Exclusive! 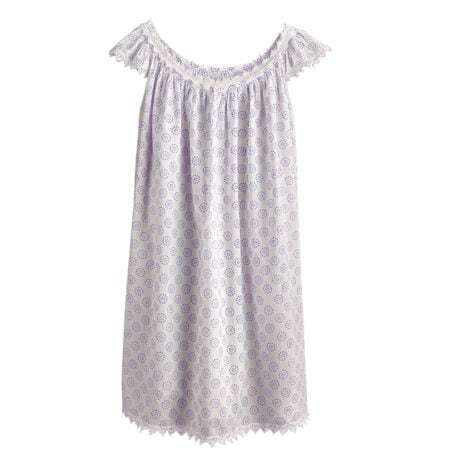 Sweet dreams in the perfect nightie. 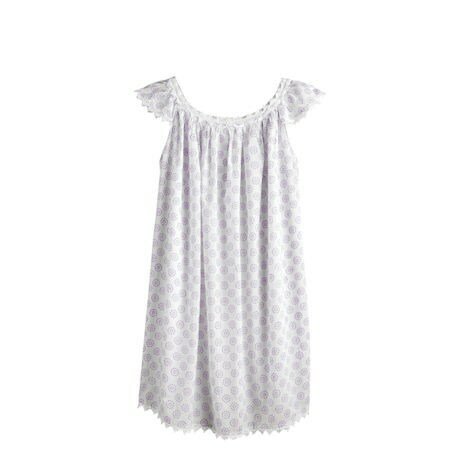 Petite purple pinwheels dot pure white cotton. All the edges are trimmed with lace. Sizes S(6-8), M(10-12), L(14-16), XL(16-18), 1X(18-20), 2X(20-22). Size M hangs 38". Machine wash. Imported.